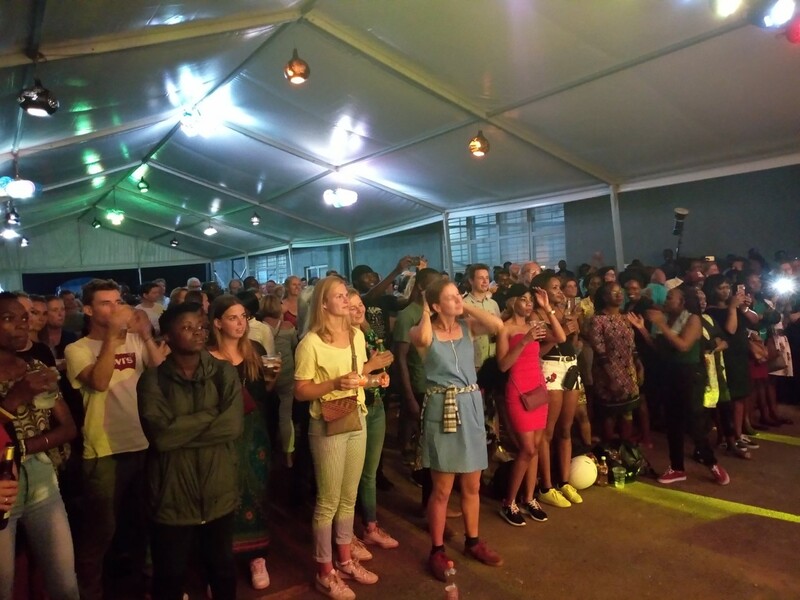 KAMPALA – The Belgium Uganda week ended on a high notch as guests and revellers were caroused with performances from Uganda’s top band acts. As guests checked in at Design Hub at 5th Street industrial area, KAZ Kasozi lit up the stage with an electric interlude blessed with a Jazz acoustic act of the Ugandan anthem. He treated them to his charming songs with dialects like “ekitaguriro“(Ankole Traditional Dance). Kasozi has recorded albums such as Naked & Blue, Dance with Me and his latest Star Shift. He was backed by fellow musicians, Elijah Kitaka (drums), Lawrence Matovu (bass) and Ronnie Bukenya (keyboards). 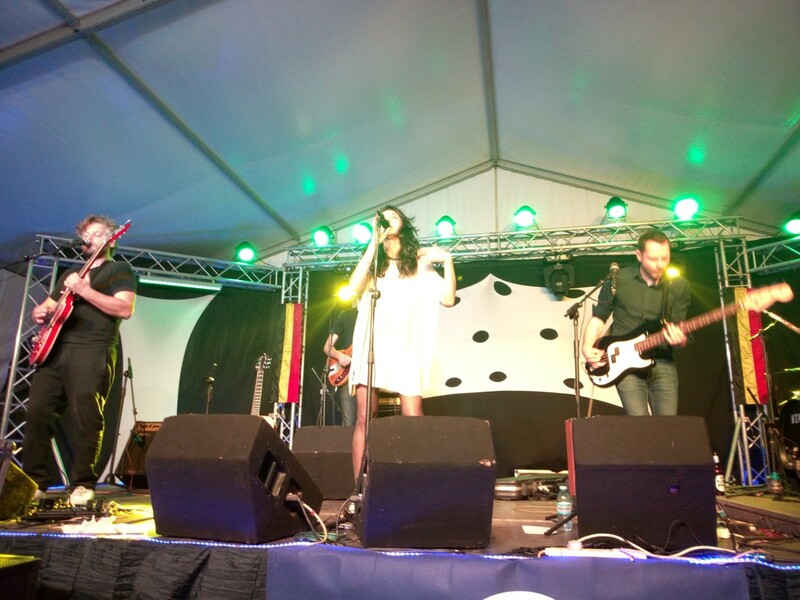 At 8:30 pm, the intergalactic lovers, hit the stage lead by their vocalists and swayed the already awe-struck revellers in European blues. The air was rented with screams from the Revellers as they sang and danced along with the band like words “we are ” as by Lara Chedraoui and many other Songs. 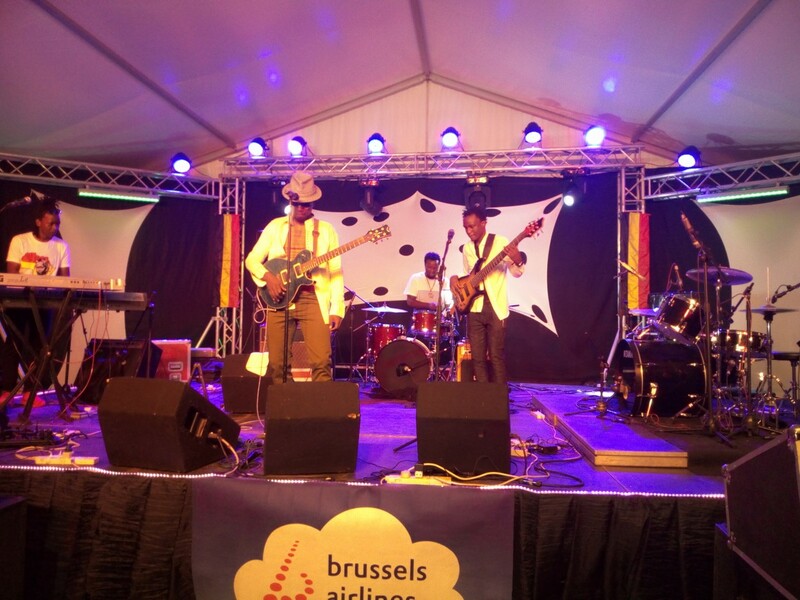 “Intergalactic Lovers band is one of the biggest Music group in Belgium and Europe and honouring our invitation and spend time to share our (Belgian) music culture with Ugandans. This is a great achievement that we can’t take for granted,” said H.E Ambassador Hugo Verbist as he introduced the Band. ” It is a great experience to work in countries like Uganda that we have never been before this helps us to spread our music to our new audience and also learn from them as wel. Music is a universal language that helps to connect with all people regardless of their color and since the theme is sharing more than colors we are extremely glad to be apart of this cooperation between the two countries and looking forward to more opportunities to work with Ugandans. ” said Dennis Van Poucke, Manager Intergalactic lovers rockie Band. “We are glad to be apart of this activity and looking at more opportunies “.